FXRuby is a powerful library for developing cross-platform graphical user interfaces (GUIs). It is based on the FOX toolkit (an open source, highly optimized library written in C++) and offers Ruby developers the possibility of coding applications in the language they love, whilst at the same time taking advantage of FOX’s underlying performance and functionality. In this article, I’m going to show you how to get up and running with FXRuby, introduce you to some of the more commonly used widgets, and demonstrate how to build a simple application with some real world value. The code from this tutorial is available from our GitHub repo. Presuming you have Ruby 1.9 installed on your machine. So, let’s start off with the customary “Hello, World!” application. We start by requiring the fox16 library. 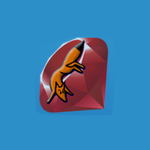 All of FXRuby’s classes are defined within the Fox module, so including Fox in our program’s global namespace removes the need to precede these classes with a Fox:: prefix. We then create an instance of the FXApp class (where App stands for Application Object). The FXApp instance is central to an FXRuby program and has many important tasks, such as managing the event queue and handling signals. Next we create an instance of FXMainWindow, passing it the previously constructed FXApp object as the first argument. This associates the window we’re creating, with our application. We also pass it three further arguments: window title, window width and window height. A call to FXApp#create ensures that the application’s window gets created. Windows are however invisible by default in FXRuby, so we need to call FXMainWindow#show for it to be displayed. The argument PLACEMENT_SCREEN ensures that it is centred on the screen. Finally, we start the program’s main loop by calling the FXApp#run. This method will not return until the program exits. You notice, that we have defined a create method within our HelloWorld class. We need this as when we call app.create, our FXApp instance will in turn call the create method of all of the windows with which it is associated. We can also use this method to have our new HelloWorld object call show on itself after it has been created. Here, __FILE__ is the name of the current file and $0 is the name of file where execution started. By comparing the two, we can ensure that our file is the main file being run, rather than it having been required or loaded by another file. This is definitely overkill for such a small app, but serves to demonstrate the typical style of an FXRuby program. “Hello, World!” apps are great, but let’s move on to something with a little more practical value. In this next section I’m going to show you how to make a simple password generator, which, at the push of a button, will output a random password of an arbitrary length. Before we start coding, let’s take a moment to consider which elements should be present in our GUI. We’ll need a text field into which the user can type the length of the desired password. We’ll also need a check box, so that the user can opt to include special characters in the password. The password itself should be displayed on some sort of text area and finally we’re going to need two buttons: one to generate the password and one to copy it to the clipboard. In FXRuby we use layout managers to control the position and size of the widgets. In this case I am going to use objects of the class FXHorizontalFrame (which arranges its children horizontally) and FXVerticalFrame (which arranges its children vertically). The first argument for each of these layout managers is its parent window. I also pass a layout hint to the vertical frame (LAYOUT_FILL), which tells it to take up as much space as is available to it, both horizontally and vertically. To create our password we can use Ruby’s Integer#chr method, which returns a string containing the character represented by the receiver’s value. If the user wants to include special characters in their password, then we can use any of the 93 characters from 33-126 on the ASCII chart. Otherwise we stick to values 48-57, 65-90 and 97-122 which represent numbers 1-9, uppercase A-Z and lowercase a-z respectively. So, we’ve got the skeleton of our GUI up and running and our generatePassword method is doing what it should. It’s time to connect the two. p "Yay! I was clicked!" Let’s apply this to our code. I have added a line to clear the FXText widget in which we want to display our output. If we didn’t do this, then every time we generated a new password, it would be appended to the old one. I then append the result of calling generatePassword to the now blank FXText widget. I call generatePassword with the argument chrTextField.text.to_i. This is the integer value of whatever the user has entered into the text field. Now let’s give the user the ability to select if they want special characters to be included in the password, or not. The most straightforward way to do this is to declare an instance variable @includeSpecialCharacters, which we can initialize to false. Then we can connect our check box to a block of code that will update the value of this instance variable (by xoring its value with true) whenever the box is selected or deselected. I have also included a second method called chooseCharset, which recieves @includeSpecialCharacters as an argument and returns an array containing the set of characters from which the password is to be constructed. The character sets themselves are passed to the PasswordGenerator object upon initialization and are available in the instance variable @charSets. Our generatePassword method will, in turn, take the array returned by chooseCharset as an argument and generate the password accordingly. 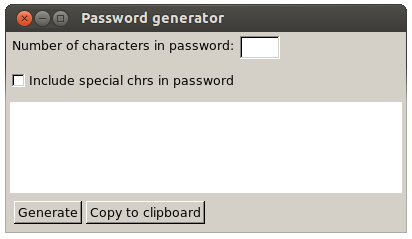 It would be nice if the user could copy the generated password to the clipboard at the push of a button. Luckily the FXText widget provides clipboard support out of the box (i.e. you can copy its text to the clipboard using Ctrl + C) and it doesn’t take much additional code for us to interact with the clipboard programmatically. We pass the method an array containing FXWindow.stringType (one of FOX’s pre-registered drag types), to indicate that we have some string data to place on the clipboard. If successful the acquireClipboard method will return true. 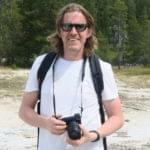 The setDNDData method takes three arguments. The first tells FOX which kind of data transfer we’re trying to accomplish, the second is the data type and the last is the data itself. With this done, I’m going to make two small changes to the layout of the GUI. Firstly, I’m going to place the FXTextField and the FXCheckButton in a group box and secondly I’m going to give the two buttons a uniform width. The groupbox will be an object of the class FXGroupBox. 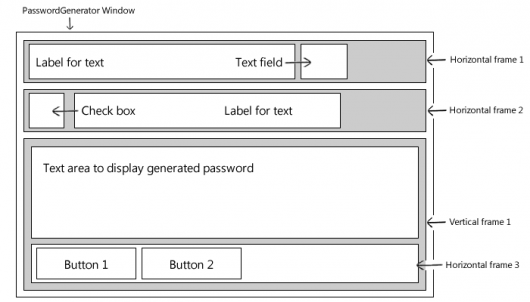 It is a layout manager and, as is the case with the other layout managers, its first argument specifies its parent window. It also accepts various layout hints as additional arguments. Here I have used FRAME_RIDGE and LAYOUT_FILL_X which give it a ridged frame and tell it to occupy as much space as is available to it horizontally. To add some outer padding to the groupbox, I have introduced an object of the class FXPacker which will encapsulate all of the other layout managers. Giving our two buttons a uniform width is slightly easier. We just include the layout hint PACK_UNIFORM_WIDTH when creating the FXHorizontalFrame which is their direct parent. In Ruby 1.87 entering a negative number into chrTextField caused the interpreter to enter an endless loop. To avoid this problem we can pass [0, chrTextField.text.to_i].max as a first argument to generatePassword which will then take the value of 0 or whatever the user entered, depending on which is higher. You can also obtain this code from from our GitHub repo.